Set of 6 pop molds completely reusable. Freezer pop molds make a delicious spring and summer treat. This frozen ice pop maker helps create 6 homemade ice pops. Create treats using juices, purees, yogurt, applesauce, gelatin, fruit, ice cream and pudding. Durable plastic with lids to hold sticks upright and straight. 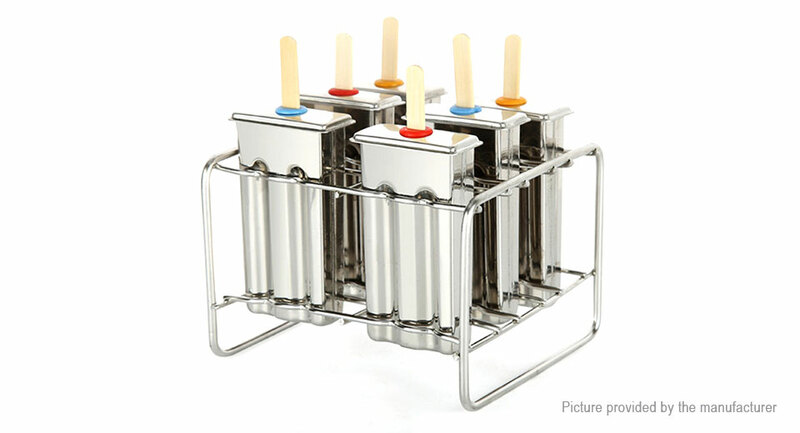 Perfect for DIY ice-lolly ,ice cream and pudding etc.